From the mind of pro-skateboarder turned TV star and Mega Entrepreneur, Rob Dyrdek, Home Plate’s first series is based on Dyrdek’s younger years as a skateboarder and is packed with a whole lot of awesome! 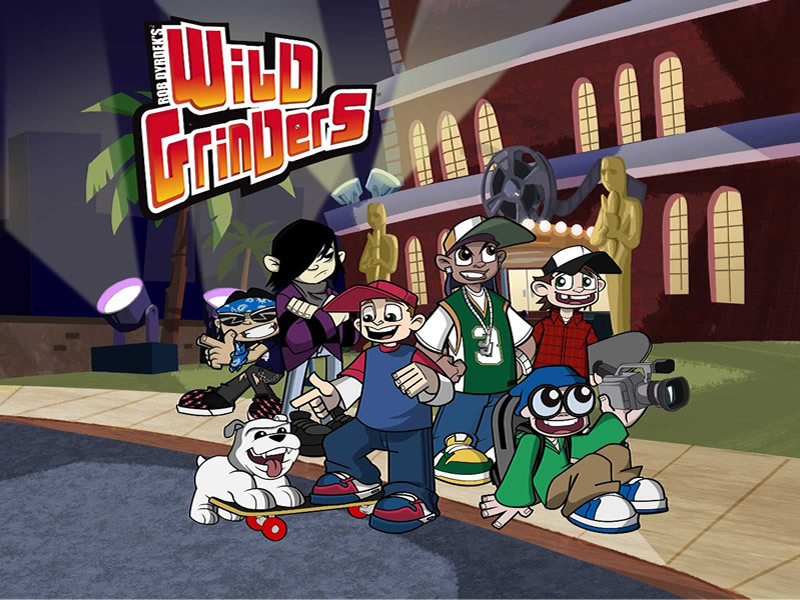 A ratings and audience success, “Wild Grinders’” fast paced 11 minute episodes feature snappy character comedy mixed with ridiculous cartoony situations and over the top humor, including the thrill seeking pre-teen LIL’ ROB, his right-hand bulldog, MEATY, and his best friends & skateboard crew, the “Wild Grinders”! Driven by cartoon logic, the action of skate boarding is taken to new extremes! From skating with jet packs that send characters grinding onto the fuselage of a mid-air jet-airliner to an underwater ghost pirate and shark chase, this show takes kid-relatable themes, cartoon gags and a dose of mayhem to another level. With stories about shrink rays (“GOGGLES SHRUNK THE GRINDERS”) that make “getting through his own house chased by angry fleas” an imaginative adventure – to stories about cursed pumpkin zombies (“WILD ZOMBIES”) on Halloween, Wild Grinders has a fresh, bright appealing look of contemporary “vinyl toy” original artwork.